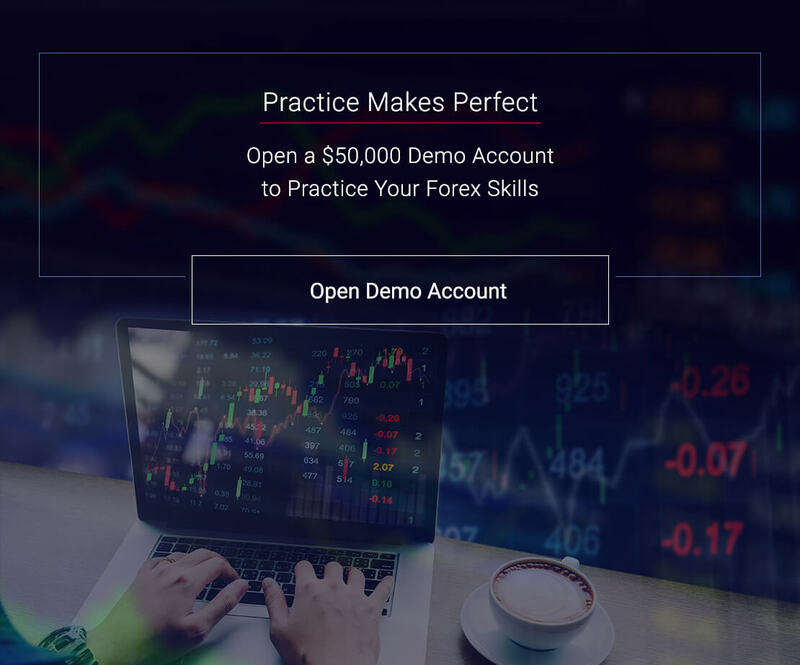 JAFX is a fully transparent Forex broker, dedicated to providing its clients with tailor-made trading solutions. Ease of use through its user friendly interface.Real time client account summary, including account equity, floating profit and loss etc. 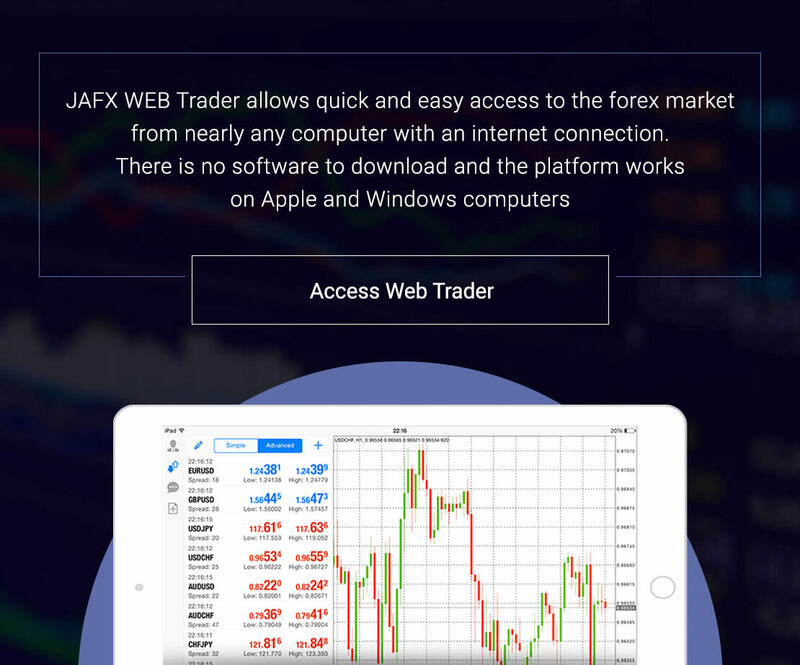 JAFX Clients are able to access all trading tools on the go with our iOS/Android mobile trading app. Trade anywhere and anytime.  At JAFX.com you’ll get transparent, reliable pricing and superior executions with a peace of mind. Please check with your local jurisdiction if you are permitted to open an account with JAFX. Website operated by JAFX Ltd, The Financial Services Centre, Stoney Ground, Kingstown, St Vincent and The Grenadine. RISK DISCLOSURE: Forex trading carries a high level of risk and can result in the loss of all your investment. You must be aware of the risks and be willing to accept them in order to invest in the stock, binary options or futures markets. Don’t trade with money you can’t afford to lose. No representation is being made that any account will or is likely to achieve profits or losses similar to those discussed on this website. The past performance of any trading system or methodology is not necessarily indicative of future results. JAFX, ITS OWNERS, AGENTS, EMPLOYEES, PROVIDERS AND COLLABORATORS ARE NOT RESPONSIBLE FOR ANY LOSSES THAT MAY RESULT FROM THE USE OF THE SERVICES OFFERED ON THIS WEBSITE.